It’s a well-known fact that most modern flagship smartphones suffer from mediocre battery life, but while increasingly energy-efficient processors have helped improve things lately, their efforts are largely pointless when combined with tiny cells. On the bright side, those not looking for the most powerful handsets in the world can buy a member of the mid-range Asus ZenFone Max family at a reasonable price with a gargantuan battery in tow. The upgraded ZenFone Max Pro M2 and ZenFone Max M2 are today official in India, where they’re scheduled to go on sale next week ahead of a probable US expansion after a second announcement at CES 2019 in January. At least that’s the expectation considering the ZenFone Max Plus M1 and ZenFone Max M1 are also available stateside. In India, the Asus ZenFone Max Pro M2 starts at the rough equivalent of only $180 with a shiny glass back, the smallest “full-function” notch in its price segment, and a truly colossal 5,000 mAh battery under the hood. Impressively enough, the phone manages to tip the scales at just 175 grams, despite also sporting a relatively large 6.26-inch screen with FHD+ resolution and a somewhat sizable chin. The Snapdragon 660 SoC powering the ZenFone Max Pro M2 is itself no pushover, especially considering the sub-$200 price bracket, although you’ll obviously need to pay extra for reasonable memory and storage counts. The entry-level configuration only offers 3GB RAM and 32 gigs of local digital hoarding room. Somehow, this ultra-affordable mid-ranger shines in the imaging department as well, with AI-enhanced dual rear-facing cameras including a primary 12MP shooter with f/1.8 aperture, as well as a 13MP selfie cam rocking f/2.0 aperture. 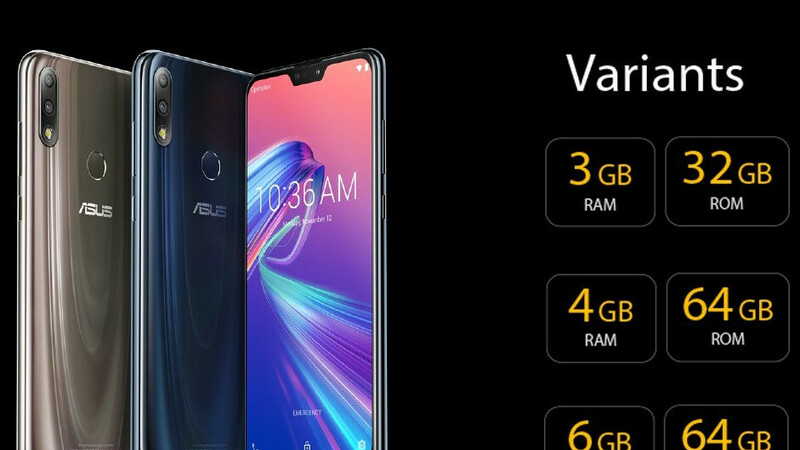 Understandably, the non-Pro Asus ZenFone Max M2 makes a few more compromises to be able to start at a crazy low $140 or so, from a less eye-catching metal build to a humbler 4,000 mAh battery and Snapdragon 632 processor. Both new phones promise to deliver around two days of non-stop use on a single charge, also running stock Android 8.1	Oreo on the software side of things, with official Pie goodies headed to the ZenFone Max Pro M2 next month. Nice to see a competition between ZF max pro, Realme, Honor X, and Redmi note in low-end segment. It's a good thing for customers. But there's only Honor (and Samsungs) on low-end market in my place. Hope this competition can hurt Samsung's low-end sales, so they'll revamp their low-end product line. Max m2 is good but Max pro m2 is ideal for almost all customers in midrange segment. I second that. Easy win over the redmi note 6 pro, which still uses a Sd 636. But Mi A2 has a 2000 mAh smaller battery. Which is a huge disadvantage for me. Can't argue with that, lol..
Because of the display drivers. You knew but you had to troll. Disappointingly, you responded him. And, do you really think he knew? I feel that people here are underestimatimg the daftness of that boy.